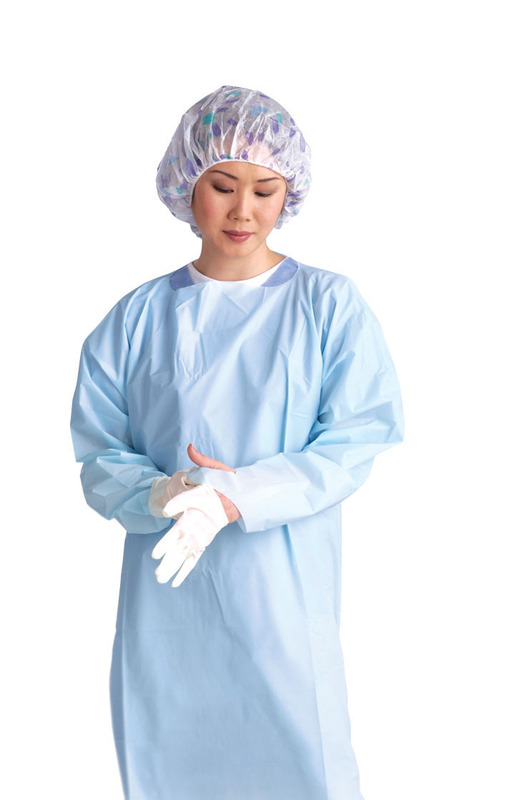 Save time and prevent "sleeve-slide" with Medline's Thumbs Up® Polyethylene Isolation Gowns. When putting on gloves, sleeves have a tendency to slide up; this can cause staff to lose valuable time. Medline's Thumbs Up gowns feature a special design and an apron-style neck to enable gowns to be removed quickly. Gowns provide high-level fluid protection.